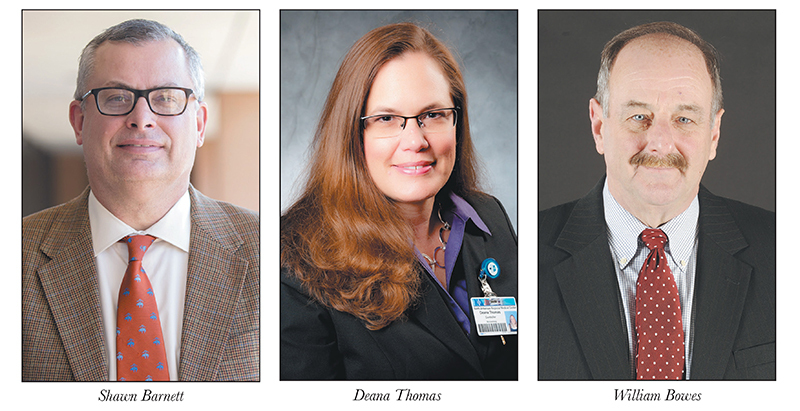 EDITOR'S NOTE: Below prominent Chief Financial Officers (CFOs) for major healthcare organizations in Arkansas answer questions about what led them into healthcare, how CFOs affect patient care and what kind of input they need to do their jobs. Experience: Barnett has been involved in healthcare finances for 30 years, working for both for-profit and nonprofit health care systems. He most recently was president and chief operating officer of CHI St. Luke's Health-Memorial in Lufkin, Texas. He was controller for what was then Methodist Hospital in Jonesboro from 1988 to 1995 and was CFO of that hospital, then called Regional Medical Center of NEA, from 1995 to 1999. He also served as CFO at Triad's Northwest Health System in Springdale and at Woodland Heights Medical Center in Lufkin. AMN: How did your finance career lead you to healthcare? Shawn Barnett: I originally got an accounting degree, but healthcare was not even on my radar until two years after working in a different industry sector when I was informed about a hospital finance opening in my hometown of Jonesboro. After applying and getting the job, I managed to work my way through the rank and file to CFO within seven years. 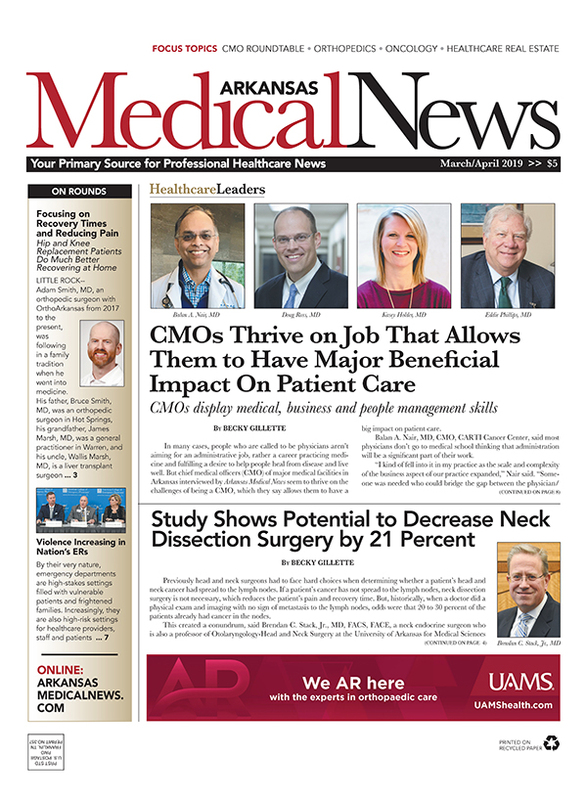 AMN: How does the role of CFO affect patient care? SB: The role of the CFO has evolved over the years. Also, it is important to provide the funding necessary to implement initiatives that improve patient care experience and safety measures of the organization. AMN: What kind of input do you get from physicians and nurses in your facility regarding the things you need to know to do your job and how do you collect that input? SB: We prepare an annual capital and operating budget to determine what funding is necessary to provide the equipment, staffing, or other resources for patient care, clinical improvements, or improving operating efficiencies. We also garner input on a day-to-day basis for things that might need funding for unexpected items through committee forums and daily interaction with staff and physicians. Education: Bachelor's degree in accounting from William Jewell College, master's degree in healthcare administration from University of Maryland. Experience: Prior to NARMC, Thomas was the director of accounting for 14 years at Lake Regional Health System in Osage Beach, Mo. She began her career at NARMC in 2013 as controller. With more than 20 years of experience, Thomas oversees the finances of the not-for-profit hospital system. AMN: How did your finance career lead you into healthcare? Deana Thomas: My experience was actually the opposite - healthcare lead to my career in finance. While attending college, I worked in medical records at a local hospital. I was fascinated by the inner workings of the hospital, got to know a lot of people and then ended up joining the accounting department. In that role, I did a lot of job shadowing and learning how all the departments worked together to make everything happen behind the scenes for the patients. I really enjoyed it, and I've spent most of my career in healthcare ever since. It's a very challenging but rewarding segment of finance. DT: As CFO, my responsibilities include much more than just focusing on the numbers. My team supports those who care for our patients, including registering our patients, keeping the supplies we need on-hand to care for patients and helping patients understand the financial component of their visits. In my current role as CFO, I've been in front of patients more than ever before, and that really gives perspective to the numbers and what we do every day. On the financial side, we must be good stewards of our resources so that we can provide the services that our patients need. Making smart financial decisions allows us to purchase necessary equipment, expand services, hire quality healthcare providers and so much more. It ultimately comes down to keeping both our patients and our hospital healthy. A financially healthy hospital is integral to the health of the community. DT: It's vital to have input from the front-line staff and physicians. They make sure we know when they need more staffing, more space and equipment in order to provide the best care for our patients. 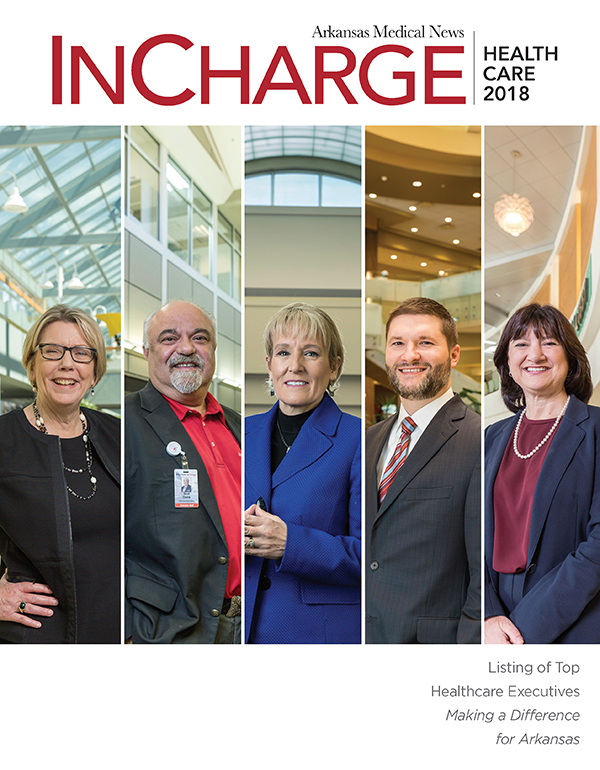 We have formal and informal channels that help us gather their input, including medical staff committees, a weekly capital expense and contract committee for significant investments, a standardize budgeting process that each department is actively involved in, and simply rounding through the hospital and our clinics to talk to the staff about their needs. Education: BA in Economics, Hofstra University, Hempstead, New York; MS in Urban and Policy Sciences, SUNY at Stony Brook, New York; Certified Lean Six Sigma Black Belt, Villanova University, Villanova, Pa. Experience: Assistant Commissioner /Financial Affairs, Connecticut Department of Higher Education, Hartford, Conn.; Vice President for Finance and Administration, Southern Connecticut State University, New Haven, Conn., Vice Chancellor for Fiscal Affairs and Treasurer, Board of Regents, University System of Georgia, Atlanta, Ga.; Senior Vice President for Finance and Administration Georgia Health Sciences University (now Augusta University), Augusta, Ga.; CFO, Board of Regents for Higher Education, Connecticut State Colleges & Universities, Hartford, Conn.
William Bowes: I had already had a long career in higher education when I met Daniel Rahn, MD, in 2000 as he assumed the roles of president at the Medical College of Georgia and senior health affairs advisor to the University System of Georgia (USG) Chancellor. In 2006, the Chancellor asked me to serve as his designee with the Medical College Board. Two years later, Rahn hired me work with him at the Medical College (which became Georgia Health Sciences University and subsequently Augusta University). In 2013, Rahn brought me to UAMS in Little Rock. During the many years I was with the USG Board of Regents, I became heavily involved in the affairs of the Medical College through various initiatives the college was pursuing, and others that came from the Board of Regents. My responsibility for budget development, execution and monitoring for all system institutions also brought me into regular contact with the Medical College on financial matters. WB: As the individual responsible for overseeing revenue cycle operations - the process that begins with patient appointments and ends with the collection of payments, usually from third party payers, the CFO can affect the patient's experience with clinical operations in a very substantial way. The efficiency with which the revenue cycle functions, such as the time necessary to get appointments, the accuracy and timeliness of medical bills, the verification of insurance and so on all contribute to the effectiveness of the care the patient receives. 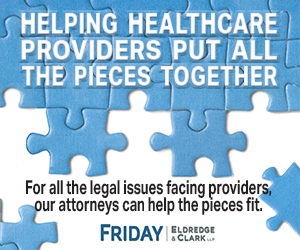 Of course, the CFO also plays a critical role to ensure that he is aligned and working closely with physicians to ensure resources are adequate to meet patient needs, whether it is staffing, the acquisition of medical equipment or the financing of facilities. AMN: What kind of input do you get from physicians and nurses in your facility regarding the things they need to do their jobs and how do you collect that input? WB: Most of the input is provided as part of the annual budget process in which meetings are held with each service line at UAMS to understand resource requirements leading to an allocation strategy that fits with patient demand. It may occur also during the course of the year as opportunities surface to expand clinical services, usually these are initiated by the physicians or clinical staff but may ultimately involve senior leadership, including me as CFO. The need for the CFO to develop a solid understanding of clinical operations is critical to developing the relationship and alignment with physicians, nurses and other support staff.